Hospital emergency departments are notoriously known as malpractice magnets. A doctor’s greatest fear is being sued as a result of attempting to provide care for a patient; residents also face this fear. Emergency Medical Residents are not exempt from medical malpractice and they have been sued for it. We have seen in recent cases that residents may be held to the same standards as the attending in their field. 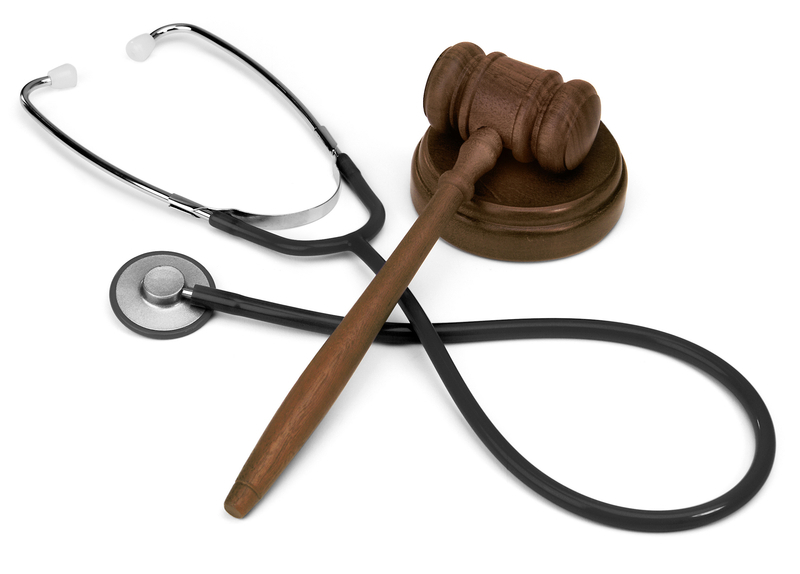 Often, when the resident is sued for medical malpractice, the attending is also sued because he or she is ultimately responsible for the supervision of the resident. The primary responsibility of caring for the patient, typically, falls on the attending. 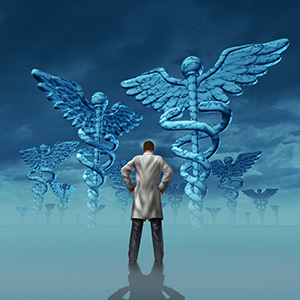 In some cases, the patient will even sue the residency program or medical school for improper training. The resident might also attempt to divert the blame as insufficient training. Many malpractice claims are actually caused by non-emergency medicine groups as a result of incorrect diagnosis and delay of admission, consultation and/or treatment. According to “An Epidemiologic Study of Closed Emergency Department Malpractice Claims in a National Database of Physician Malpractice Insurers”, only 19% of malpractice claims were caused by emergency medicine physicians. While no physician wants to be sued for medical malpractice, a majority of these claims are withdrawn, dropped, or dismissed without payment because the doctor was not found negligent. In one study, only 1% of medical malpractice claims found a verdict for the plaintiff and only 29% were settled with some form of payment. The majority of emergency medicine malpractice claims do not go to trial and most do not require payment to the patient. It all begins with consent. When a patient signs a consent form which states that they have been adequately informed of the risks of a procedure by the physician, the physician may not be liable for negligence should there be a negative outcome to the procedure. After that, contributory negligence is a common defense. If the patient fails to follow the physicians medical advice, does not follow the discharge instructions, withholds information or fails to follow-up and suffers as a result, the physician may be found not liable due to contributory negligence and the patient will not receive payment. All physicians and residents should stay updated with current practice guidelines and care for their patients to the best of their abilities. Any tests that are ordered in the emergency department should always be followed up on even after the patient leaves the department. The patient and their primary physician should be informed of any incidental findings in any test and the physician should document that all parties were informed. Make sure that a consent form is completed before all procedures and that you have thoroughly explained the benefits and risks of the procedure to the patient. At Gutglass, Erickson, Bonville & Larson, we understand the challenges of dealing with medical malpractice claims and we are here to help. Give us a call and we will be happy to answer all your questions. Call us today at (414) 273-1144. $320 billion was spent on prescription drugs in the United States for 2011. During 2012, US spending on traditional drugs dropped for the first time in 20 years. Among the commercially insured community we saw total spending drop 1.5%. However, this was offset by an increase in spending on speciality medications by 18.4%. When the Affordable Care Act is fully phased in, some experts predict that the amount of spending on prescription drugs will double over the next decade. A risk for physicians, pharmacists, and nurses in all areas of practice is the potential liability for malpractice or negligence in prescribing or administering drugs. As we watch the use of pharmaceuticals rise, we can expect to see the risk of lawsuits related to their use increase. Errors in medication can lead to illness and death, which makes determining who is at fault a very delicate situation. In some cases, the physician might have prescribed the wrong medication or an incorrect amount of the right medication. Other times the mistake was made by the pharmacist or it was a result of the nurse not following the directions when administering the medication. As a physician, you are responsible when an error is made in choosing which prescription drug to give the patient. When a prescription is not correctly filled at the pharmacy or mislabeled, the pharmacist becomes liable. The nurse who is attending the patient can be negligent for the improper administration of the medication. In any of these situations, a medical malpractice has taken place and a medical malpractice claim can be made if the patient has suffered in any way, as a result of the incident. The role of the medical malpractice attorney is to first find out who made the mistake by tracing the prescribed medication through the entire chain and back to the original point of error. Unfortunately, medical practice is not perfect. And recent surveys have shown that between 75 and 99 percent of practicing doctors will be hit with a medical malpractice suit in their careers. And in those cases where medical malpractice takes place, there really are no winners. Beyond monetary implications, multiple medical malpractice lawsuits can mean revoked medical licenses, ruining your chance of making a living. So, when you are required to defend yourself, you will need the right lawyer. 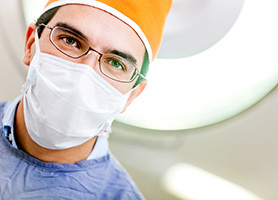 An experienced law firm with the right knowledge and expertise can make the difference in a medical malpractice case. Even in cases where a mistake was made, it isn’t guaranteed that a lawsuit is won or lost. They must be able to prove damages to win. If they can prove damages, they can claim for present and future medical expenses, lost wages, reduced quality of life, and pain/suffering. More often than not, the amounts awarded for pain and suffering and other psychological damages will actually exceed damages rewarded for physical damages. Most cases are settled out of court and it is important to get the right information beforehand to help educate yourself in the future against an unexpected malpractice lawsuit. Our law firm is recognized across Wisconsin for our aggressive and innovative representation of health care professionals and organizations. Our expertise is sought by risk managers, attorneys, judges, health care professionals and organizations alike for our in-depth knowledge of Wisconsin’s unique medical malpractice laws. We’ve defended medical malpractice in a variety of settings, including positive handling of constitutional challenges before the Supreme Court, so we can back up our knowledge with success. We want to offer you our medical malpractice expertise so you can continue providing quality health care to the people in our community who need it. At Gutglass, Erickson, Bonville & Larson S.C. our experienced attorneys will defend you in medical malpractice cases that include misdiagnosis, failure to diagnose, surgical procedures, medication errors, post-operative complications, pathological interpretation, and any other medical malpractice related litigation you may be faced with. The Food and Drug Administration (FDA) recently published the Proposed Rule: Use of Certain Symbols in Labeling in which it is proposing that the medical device and biological product labeling regulations be revised to explicitly allow internationally recognized stand-alone symbols that are explained in an accompanying symbols glossary. This symbols glossary would include a list of each symbol, which is used in the medical device labeling, and an explanation of its meaning. The authorized symbols would be those recognized by a standards development organization such as the American National Standards Institute and the International Organization for Standardization. Currently, stand-alone symbols are generally not allowed to be placed on medical device labeling here in the United States. Under FDA regulations any graphics or symbols in medical device labeling must be accompanied by its explanatory text next to the symbol. The FDA believe that this proposed change would help harmonize the European and U.S. regulatory requirements which currently force manufacturers to provide different labels for each market. The Food and Drug Administration has also proposed that its prescription medical device labeling regulations also be revised to permit the use of the symbol “Rx only” without the inclusion of explanatory text on the labeling of prescription devices. Under these new regulations, the FDA would expressly allow but not require the use of stand-alone symbols contained in a standard that the FDA recognizes under its authority under section 514(c) of the Federal Food, Drug and Cosmetic Act. Devices on which stand-alone symbols are used would have to be accompanied by a symbols glossary which lists each symbol used in the labeling of the device as well as the meaning for the symbol. The FDA expects to evaluate standardized symbols over time and maintain a current list of recognized symbols on its Web site. The FDA is also encouraging comments on the proposed rule to be made no later than June 18. In our current economy, it’s common for people to have questions regarding their financial savings and to obtain the comfort of being reassured that their money is protected. Beginning in 2013, the FDIC has made some changes. We wanted to take a moment to explain exactly what the FDIC does and what recent changes have been made. The Federal Deposit Insurance Corporation (FDIC) is an independent agency of the federal government. The FDIC was created in 1933 as a result of the thousands of banks which failed during the 1920s and early 1930s. Their mission is to promote and maintain the publics confidence in the United States financial system. They do this by insuring deposits in banks and thrift institutions up to and including $250,000. Not one depositor has lost a single penny of their insured funds, as a result of a failure, since the FDIC insurance began on January 1, 1934. The FDIC does not receive any Congressional appropriations and is solely funded by premiums that banks and thrift institutions pay for deposit insurance coverage and from earnings on investments in United States Treasury securities. Currently, the FDIC insures approximately $9 trillion of deposits in virtually every bank and thrift across the country. Unless there is a change in federal law, beginning January 1, 2013, funds deposited in “non-interest bearing transaction accounts” no longer will receive unlimited deposit insurance coverage by the Federal Deposit Insurance Corporation (FDIC). Beginning January 1, 2013, all of a depositor’s accounts, including all “non-interest bearing transaction accounts”, will be insured by the FDIC up to the standard maximum deposit insurance amount ($250,000), for each deposit insurance ownership category. The term “noninterest-bearing transaction account” includes a traditional checking account or demand deposit account on which the insured depository institution pays no interest. It also includes Interest on Lawyers Trust Accounts (IOLTAs). It does not include other accounts such as traditional checking or demand deposit accounts that may earn interest, NOW accounts and money-market deposit accounts.